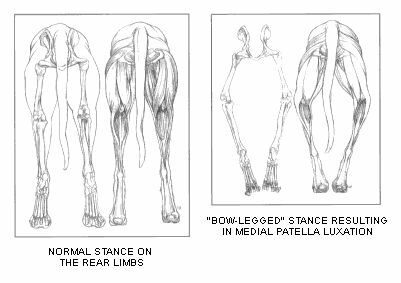 Patellar luxation is probably the most prominent health problem in the Coton breed. This means that the knee cap is luxating , or coming out of the socket. There are different degrees of luxation. We are supplying the following URL's in order to help everyone gain a better understanding of this problem.